Saint Cloud State University is a member of the National Council for State Authorization Reciprocity Agreements (NC-SARA), a voluntary, regional approach to state oversight of postsecondary distance education. Online education at St. Cloud State is designed for students who desire the flexibility of studying anytime, anyplace without the time and distance constraints of attending class on campus. The university offers more than 200 online courses each semester including many major program courses for undergraduate degrees such as criminal justice and community psychology. Degree completion opportunities are available for six graduate programs as well as Bachelor of Elective Studies (BES), Associates of Arts (AA) and Science (AS), and Nursing RN-to-BSN. 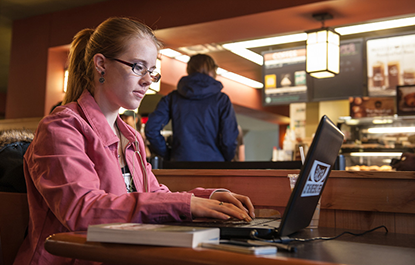 We want you to have the convenience to learn your way – online, on-campus or both. Already a student at another Minnesota state college or university? Register for individual courses as a non-degree seeking student. Search undergraduate, graduate and certificate programs that offer online learning opportunities. Find information for online tutoring, accessing D2L Brightspace and more.